The elaborate double-walled butter dish is very easy to hold with its ergonomic handles. The butter seat integrated into the butter dish keep the butter in place. Especially sturdy plastic cover. Observing the quick twists and artistic skills of a professional bartender conjuring a cocktail can be quite impressive. Why not try the art of mixing yourself? It is fun to create cocktails and try out new recipes with friends.  The WMF Loft collection offers the necessary shakers and jiggers. The curved shape of the design exudes a fresh and modern look, and since they are made of high-quality Cromargan® the items in the collection are virtually unbreakable. Beginners will particularly appreciate the six-piece bar set. This set is perfect for mixing simple cocktails as well as for preparing more elaborate, creamy drinks. In addition, the matching holder makes the set an eye-catcher.